Chinese authorities are racing to reach survivors still trapped beneath a passenger ship that capsized in the Yangtze River late Monday. 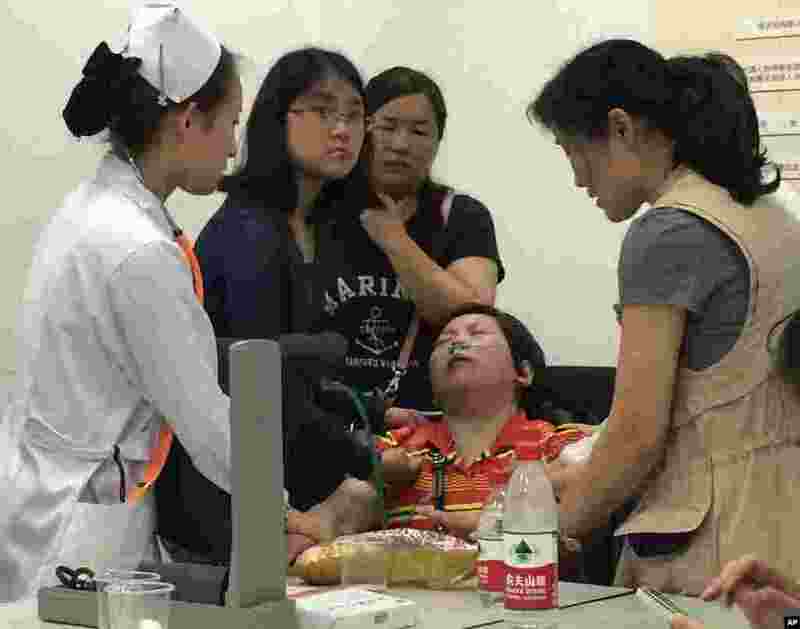 1 A relative of Shanghai passengers on board a cruise ship that capsized in central China, is attended to by a medical worker as she waits for answers at a government office in Shanghai, China, June 2, 2015. 2 A woman is helped by divers from a sunken ship in Jianli, Hubei province, China, June 2, 2015. 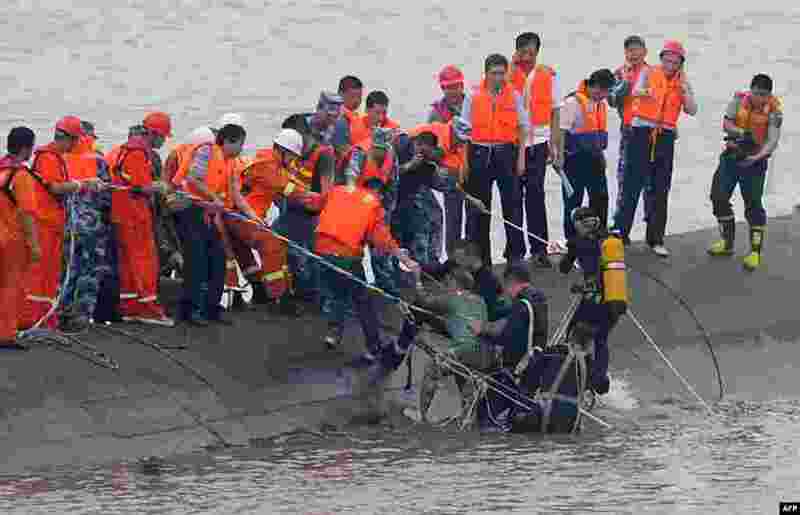 Divers pulled the 65-year-old woman from the hull of the passenger ship carrying 458 people that capsized on China's Yangtze River and others could still be alive, state media said on Tuesday. 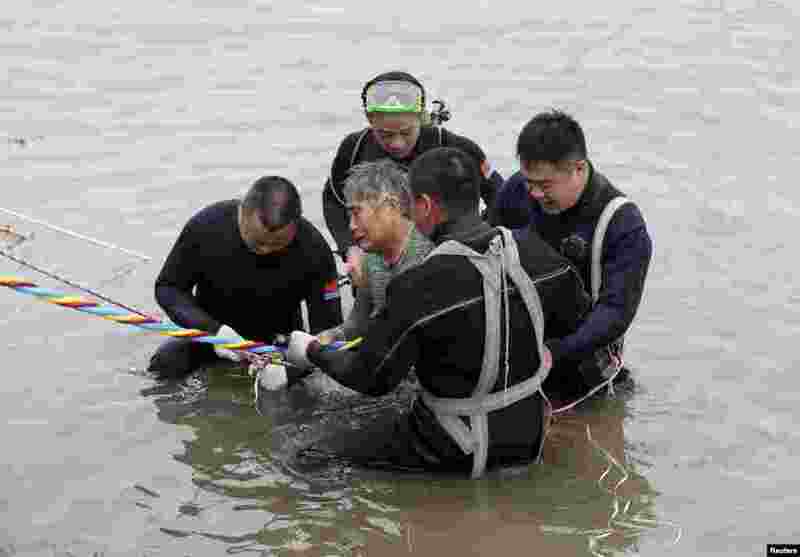 3 A 65-year-old woman is rescued by divers from the Dongfangzhixing or "Eastern Star" vessel which sank in the Yangtze river in Jianli, central China's Hubei province, June 2, 2015. 4 Family members of passengers on the ship which sank at the Jianli section of Yangtze River, in Hubei province, cry outside a closed office of Xiehe Travel in Shanghai, China, June 2, 2015.